What is the difference between a nightmare and a dream that is related to illness? | van Doorn on dreaming! In 1967, after Vasily Kasatkin finished his ambitious project to write “A theory about dreams” he was able to make some valid scientific conclusions that noth have been challenged yet, almost 50 years later. One of the most intruiging things Vasily talks about in this fascinating book is how to tell the difference between a nightmare and a dream that is about an illness going on in the body. First of all, Kasatkin wants us to know that a dream is the way for the unconsciousness to tell the conscious mind about latent energy shifts. So dreams are the easiest way to scan the general health satus of the body. When disease occurs, sleep tends to get disrupted. People wake up more and are more likely to remember dreams (that is a very strong evolutionary guiding point towards the valude of dreaming). Dreams that have to do with health tend to be bad in character/content. They repeat themselves, whereas a bad dream or a nightmare does not. dreams about health have another tendency. They are not symbolic. Of course there are symbols in dreams about health, but the place/organ that is attacked because of the disease is clearly identified. 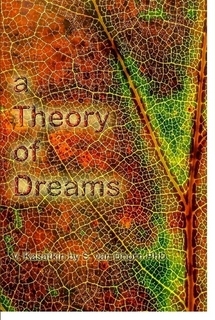 This entry was posted in Uncategorized and tagged A theory about dreams, Christian Gerike, dream research, dreaming, health, Michele leCleche, Susanne van Doorn, theory, Vasily Kasatkin. Bookmark the permalink.